SACATON – The Drought Contingency Plan aimed at preserving water levels in the Colorado River Basin has been signed into law. Arizona’s tribes had a critical role in the plan’s negotiations, something experts say sets a new precedent for tribal water rights. 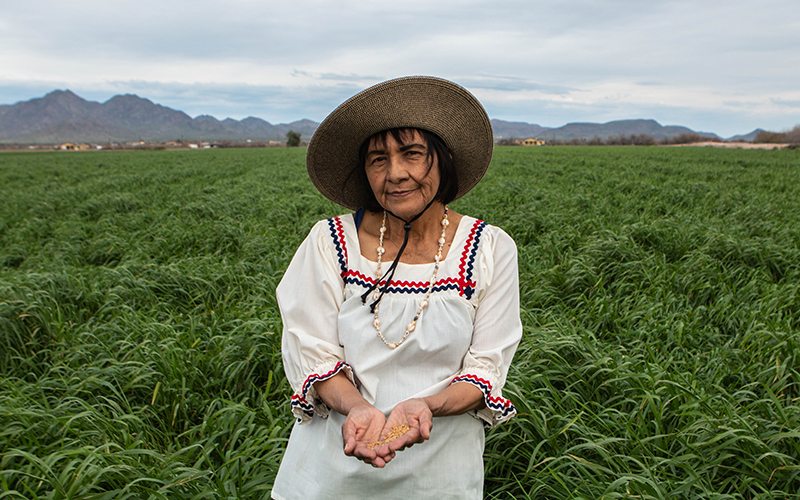 WASHINGTON - Tohono O'odham Chairman Edward D. Manuel told a House panel that lack of water has been killing crops and livestock - and, essentially, the tribe's economy - and things will only get worse if federal funding is allowed to lapse. WASHINGTON – Two months after it let the Violence Against Women Act lapse, the House voted Thursday to renew the 25-year-old law that extends protections for victims of domestic violence, and renewing protections for Native American women. WASHINGTON - Road problems caused by poor maintenance by the Bureau of Indian Affairs is more than an inconvenience for tribes, who say poor roads make it hard for people to get to school, jobs and health care, but there is little they can do to fix the federally owned roads. WASHINGTON - The White House unveiled a task force that is charged with finding ways to prevent the sexual abuse of children in the Indian Health Service, after an IHS pediatrician's conviction last year on four counts of abuse during stints on different reservations. WASHINGTON - Advocates told a House subcommittee investigating the problem of missing and murdered indigineous women that the issue is conplicated by a lack of solid data, a shortage of funding and a legal maze that Native victims and families often face when trying to report crimes. WASHINGTON - A Hopi leader joined officials from the Pueblo of Zuni and the Ute Indian tribes to tell the House Natural Resources Committee about worries over cultural stes at Bears Ears National Monument after the president slashed its size from 1.35 million acres to about 200,000. PHOENIX – Heard Museum highlights the personal stories of students who attended American Indian boarding schools in new exhibit. MESA - Kylie Hunts-in-Winter, 16, teaches self-defense classes, part of a community effort to lower the risk of missing and murdered indigenous women. YUMA - The latest mural from the Endangered Species Mural Project is in Yuma and focuses on the endangered Sonoran pronghorn and the Yuma Ridgway’s rail to bring awareness to these animals. SELLS – A complex legal process, inconsistent data and a lack of attention contribute to the forgotten missing and murdered indigenous women. The #MMIW movement is advocating for women who no longer have a voice. WASHINGTON - The audience at the Conservative Political Action Conference had heard the message of low taxes and local control from speakers before, but maybe not from this group - Native Americans calling for less government oversight on reservations and greater tribal sovereignty.